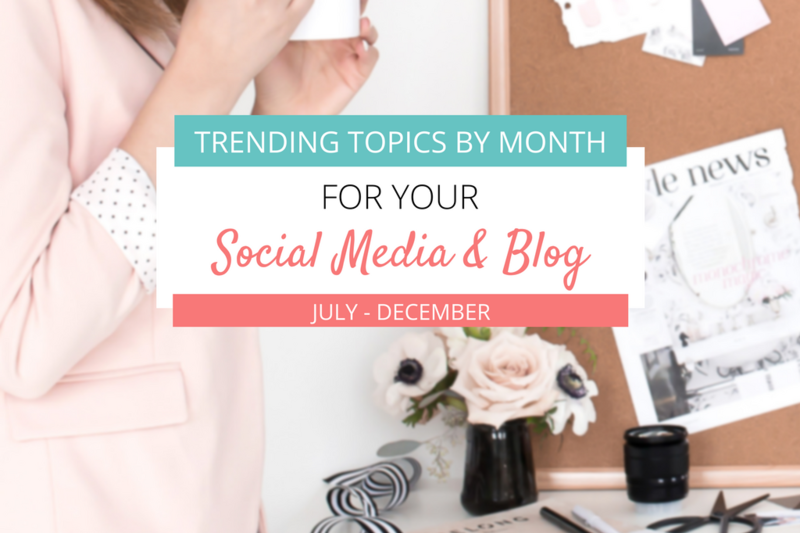 The second half of the year begins in the middle of summer for most of us, but really we should be planning our content and talking about upcoming things a lot sooner than you might expect! One of the biggest reasons people struggle with their social media and blog is because they don’t know what to talk about. Of course, if you’re a graphic or web designer, back to school might not be a topic you want to write about in August. However, it’s important to keep these themes in mind and cater to the mindset of your target client or customer. You can likely find some way to tie these things into the content that makes sense for you to cover. For example, if you’re a social media manager and strategist like myself, you might talk about how to plan your social media to save you time during the chaos of back-to-school. While I am not specifically talking about anything related to going to school, I am speaking to the life of my target client, a business owner that has kids and a very busy schedule. Here are some topics to keep in mind through the end of the year when planning your social media and content! I am sure there are lots more topics but these are some of the big ones to keep in mind when you’re planning your content. It’s always nice to have a place to get some inspiration and I know lists like this always help get my wheels turning. Then I like to brainstorm topic ideas and dump them into my editorial calendar. What topics would you add to these lists?